"Humana has a solid Medicare history, so we bring strong capabilities to the transformational health care relationship with Oak Street Health, which allows us to better partner together to help our members get and stay healthy"
INDIANAPOLIS & DETROIT--(BUSINESS WIRE)--To offer patient-centered care for Medicare beneficiaries, Oak Street Health and Humana Inc. (NYSE: HUM) have teamed up to add four primary care practices to Humana’s Medicare Advantage Plan networks in Indiana and Michigan. 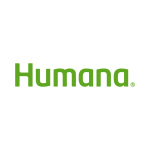 Humana is adding these new primary care practice locations to its network in an effort to improve access to care and quality of care while increasing patients’ ability to manage their own care to improve their health and well-being. The new practices operated by Oak Street Health accept certain Medicare Advantage plans administered by Humana and do not accept Medicare Advantage plans administered by other carriers. Humana’s value-based relationships with providers, like Oak Street Health, are aimed at transforming health care by offering proactive, personalized care for Medicare beneficiaries. Humana and Oak Street Health meet regularly to review member cases and issues. This helps ensure that members aren’t simply treated for what ails them, but are also provided with a more comprehensive team working on a plan to keep them on the path to their best health. The University Heights location is currently seeing patients. The other locations will start seeing patients on Oct. 13 for Fort Wayne, Nov. 1 for Southgate and Nov. 28 for Rosedale. “We are excited to partner with Humana to bring excellent care and an outstanding health care experience to the communities of Fort Wayne and Detroit and expand our service in Indianapolis. With our partnership, we can provide the support and resources patients need to improve their wellness,” says Mike Pykosz, Co-founder and CEO of Oak Street Health. A care team that includes doctors, nurses, medical assistants, and medical records experts who take notes. A care manager assigned to patients to help connect them with community resources. The convenience of being able to walk in to one of these centers without a scheduled appointment and often be seen the same day. Big, beautiful community rooms where patients can join in free daily events and classes. This is the second time Oak Street Health and Humana have teamed up. The organizations first teamed up in 2015. The new practices bring the total to six Oak Street Health practices dedicated to Medicare Advantage plans administered by Humana. “Our health care needs change as we get older, so it’s important for Medicare beneficiaries – no matter their health issues – to find health care that meets those needs. That’s why we are excited to expand the relationship with Oak Street Health to be available to more of our members,” said Larry J. Costello, East Central Region President for Humana’s Senior Products. “Humana has a solid Medicare history, so we bring strong capabilities to the transformational health care relationship with Oak Street Health, which allows us to better partner together to help our members get and stay healthy,” said Chuck Dow, Great Lakes Region President for Humana’s Senior Products. Today, Humana has 1.7 million individual Medicare Advantage members and 200,000 commercial members who are cared for by 48,200 primary care providers, in more than 900 value-based relationships across 43 states and Puerto Rico. Currently, approximately 61 percent of Humana individual Medicare Advantage members are in value-based payment relationships. Humana’s goal is to have 75 percent of individual Medicare Advantage members in value-based payment models by the end of 2017. For more information, visit humana.com/accountable-care or humana.com/valuebasedcare. Oak Street Health is a network of primary-care centers for people on Medicare with an innovative model of care focused on keeping our patients healthy and out of the hospital. We build relationships between our patients and their doctors and care teams, and we invest in giving our patients better access to care. Our patients enjoy the benefits of personal managed care, transportation, and daily programming in our community rooms. Oak Street Health has 19 locations open and planned in Illinois, Indiana, and Michigan. More information about Oak Street Health can be found at www.oakstreethealth.com.